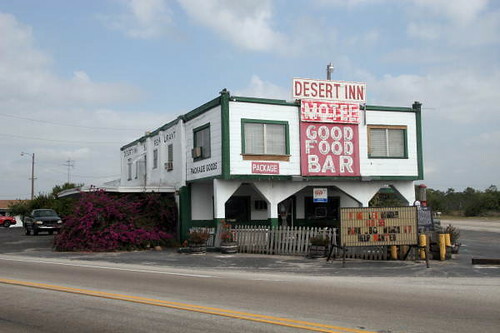 General Note: The Desert Inn and Restaurant, located at 5570 South Kenansville Road in Yeehaw Junction, Osceola County, Florida, was added to the National Register of Historic Places in 1994. Originally founded as a trading post in the 1880s, the present building dates to circa 1925. Physical descrip: 1 digital image – col.